EOY J-Culture Festival 2018 will be celebrating its 10th Anniversary in a big way at Suntec City on 29 and 30 December 2018! 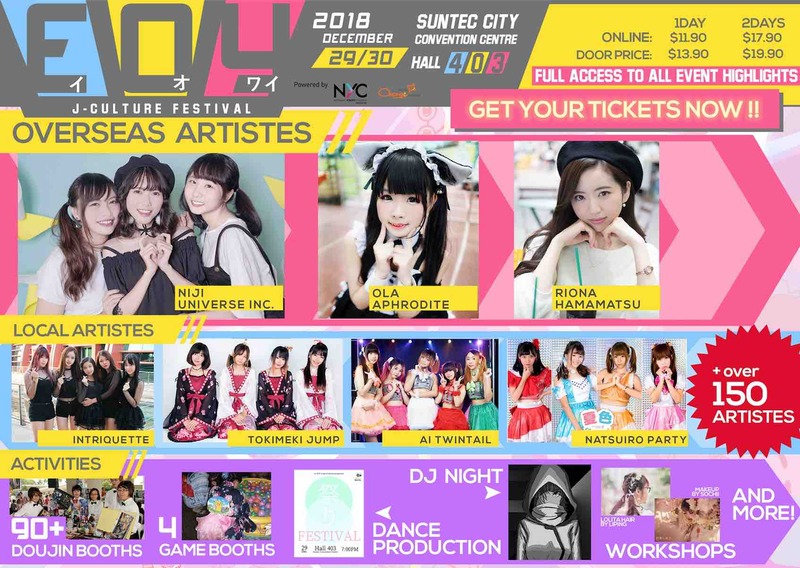 The lineup of overseas guests includes former AKB48 Team 8 idol Riona Hamamatsu, cosplay idol Ola Aphrodite and members from idol group Niji Universe Inc. You will get to watch them perform live, meet them up-close, and purchase their official merchandise. For Hamamatsu, EOY will be her maiden overseas stage. She has been carving out her solo career since graduating from AKB48, and Singapore is her first step towards going international! EOY J-Culture Festival 2018 – What’s In Store For You? 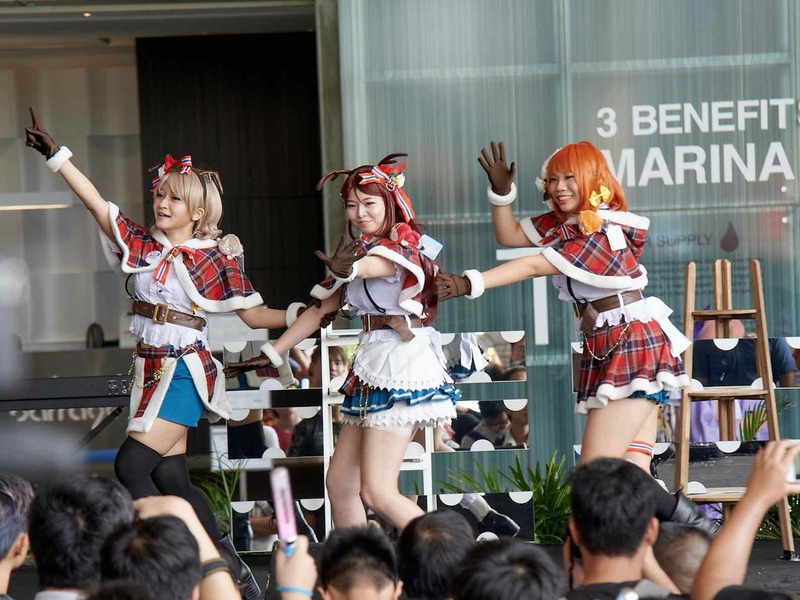 You will also get to enjoy two full days of live renditions of Japanese pop and anime songs, dances and instrumentals by home-grown idol groups and talents. Each year, the organising team receives over a hundred applications from local talents who wish to perform at EOY. The cream of the crop are carefully picked via a round of auditions spanning across three days. Familiar faces would include Tokimeki Jump, Natsuiro Party and Mechapen, but fans will also be glad to discover new and rising talents. Special evening segments include a DJ party and an original dance recital choreographed by the local J-culture dance community. 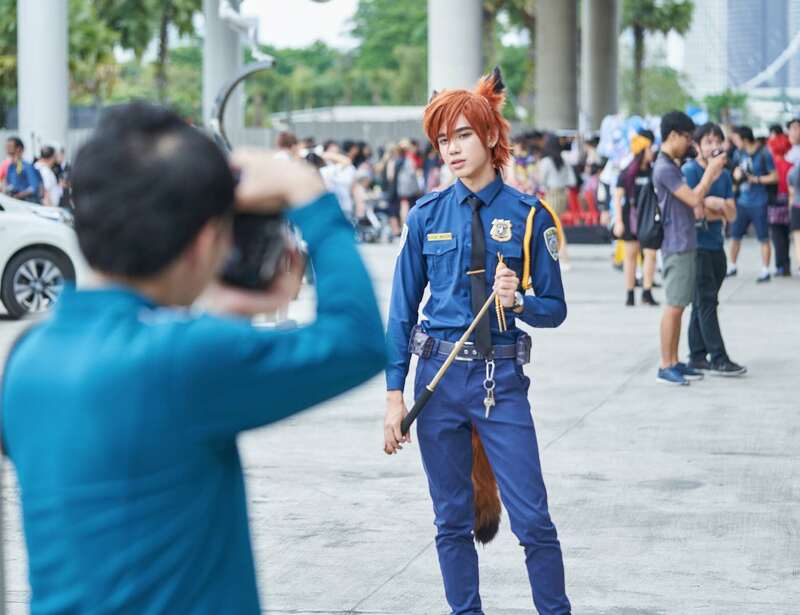 To promote active participation from the youth community, EOY is collaborating with NTU’s Japanese Appreciation Club and Visual Art Society, ITE Central’s Japanese Pop Culture Research Club and the ITE College East Anime Manga Cosplay Club to generate content for the event. The school clubs will organise and run traditional festival-style game booths. 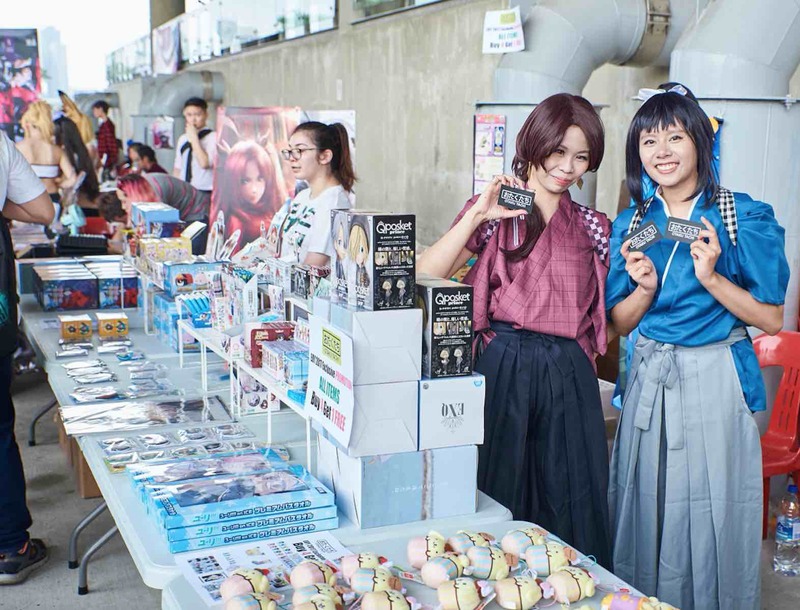 Student volunteers from ITE Central’s Japanese Pop Culture Research Club will help the organising team to support the operations of the event. Really enjoyed this happening. Feel sad for those who missed this occasion.. This don’t come regularly..